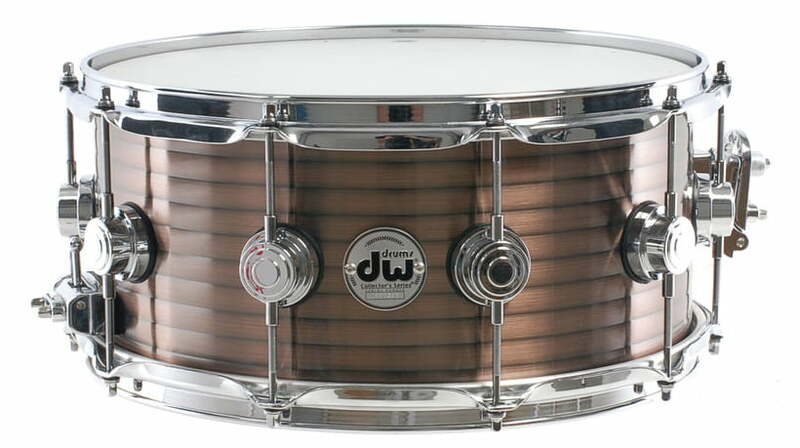 The DW Vintage 14 x 6.5 Copper Over Steel Snare Drum features a thick-gauge steel design with black nickel hardware, offering a bright and extremely resonant sound which is ideal for even the loudest drumming sessions. With high quality Remo drumheads, 3.0mm steel True Hoops and True-Pitch tension rods, the Collector's Series Steel Snare Drum outperforms many other drums in the price range. 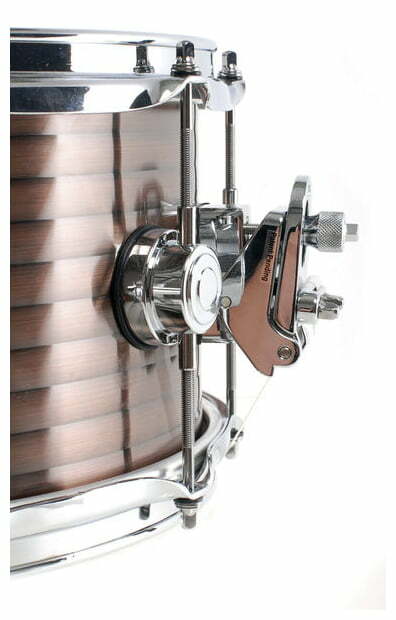 The DW Vintage Copper Over Steel Snare Drum features a 10-lug configuration and True-Pitch tuning system to put you in full control of the sound of the snare, allowing you to achieve a perfect tone to accompany the rest of your mix. The snare is well suited for use with a wide range of different drumming applications, from live and performance work to studio and recording applications. 3mm True Hoops and a high-quality MAG throw-off complement the design of the snare, resulting in a great balance between high-quality construction and components with excellent all-round performance and tonal clarity. Fitted with Remo drumheads for a fast and accurate response, the snare is a strong performer in the price range and is ideal for a wide range of drumming styles, genres, and playing techniques. The DW Collector's Series range is DW's flagship line of high-end custom snares offered in a range of finishes, materials, and configurations. With snares suited to every imaginable drumming style and genre, you can won't fail to find a snare which is perfect for your desired use. Every single drum in the range has been precision-crafted out of the highest quality materials and components to deliver the best performance at the most competitive prices. Purchase a DW Collector's Series Snare today to redefine your drumming and performance quality. Shell (Depth x Diameter): 6.5" x 14"